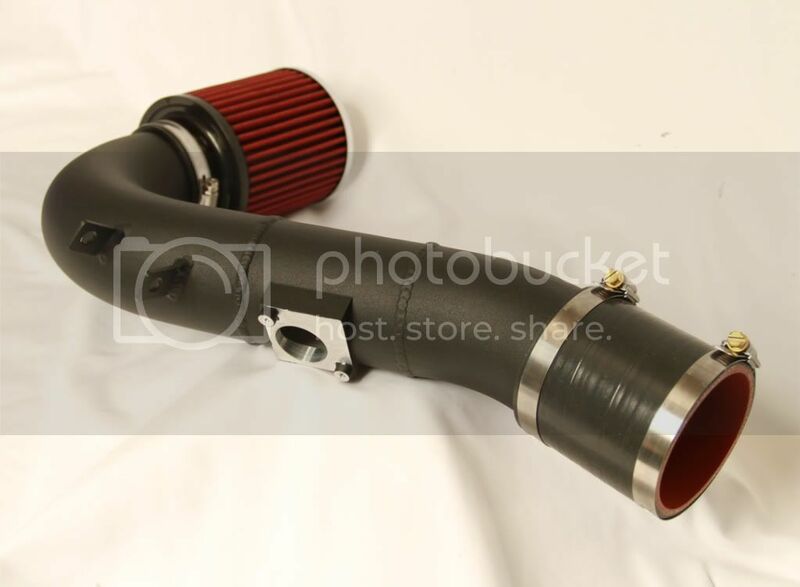 Any plans to make an ITG filter for the Cup Airbox? Do you have to spray oil on it like a K&N? How do you clean it? Good question-- and another annoyance of fabric filters is the light-weight oil that always finds its way to the MAF and IAC (for DBC cars). The foam filters use an entirely different kind of oil. We pre-oil all the ITG filters before shipping, so the first oiling is on us. You can surely go a few oil changes between cleanings under normal use without worrying about performance degradation... On the other hand, fabric filters should really be cleaned every oil change or after every long track weekend, as the tire particulates will clog them up. NoToil is probably the single greatest invention of all time. I've used it in races that had me coughing up dirt out of my lungs days later, but my engine has always been spotless. BTW, Oxy Clean is a cheap alternative to the NoToil cleaner. It's pretty controversial in the dirt bike world, especially on the KTM Technical forum. Lots of fairly detailed threads on it not filtering properly. I have no direct experience with it other than reading those threads. I've got and itg on my (mostly) street Elise. It was put on by the first owner who did some tracking. I've been told by the manufacturer that for my use, I may be able to go 50k miles before needing to clean and re-oil the filter. IN addition I get a few more HP out of the engine. I've never seen this install on any other Elise, and it's a tight fit in there but I've had no issues with it. i installed mine through the engine bay. Tight fit but beats installing through the wheel well. Feels good! Don't know if this is the itg you are talking about, but this is my itg Maxogen installed. We get an answer on this? Doubt it, Phil isnt a fan of the Cup Air Box from my readings on the boards. Phil do you sell the ITG box separately? I do...Depends on the application. Last edited by slightly2ned; 07-31-2012 at 09:29 AM. Is this comparable to the round ITG airbox? Last edited by slightly2ned; 08-09-2012 at 11:35 AM. Suitable for the Toyota powered Lotus Elise and Exige (except Elise S), this induction system is available with carbon fibre or aluminium air box. ITG is an F1 Manufacturer. Independant Performance testing has shown a large increase in power can be gained and will also give a massive torque improvements. This induction kit is a direct replacment for the standard production airbox. Each kit is supplied with easy to follow fitting instructions. Not only does it look good, the engine power/torque increases transform the overall engine performance. ITG can offer the this product in a format that will fit the Elise S, but when ITG tested the Maxogen on the Elise S they did not see any large power gains. If you would like to order a Maxogen kit for the Elise S please email us by clicking here.